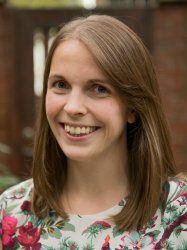 Nicky is an Imperial College Research Fellow using bioinformatics and large genomic datasets to study the contribution of rare variants to human disease. Nicky's current research harnesses sequence constraint in large reference datasets, such as the genome aggregation database (gnomAD), to identify deleterious variants in non-coding regions with effects on translation efficiency and a role in disease. Nicky is a member of the Cardiovascular Genetics and Genomics research team. Prior to her current role, Nicky led development of bioinformatics infrastructure to establish a new clinical diagnostic service for ICCs within the Royal Brompton Hospital, using next-generation sequencing (NGS). Before joining Imperial, Nicky completed her PhD titled 'Identification and characterisation of susceptibility genes for colorectal cancer' at the Institute of Cancer Research in London, working with Professor Richard Houlston. This work involved imputation and meta-analysis of genome-wide association study (GWAS) data and analysis of exome sequencing data. Prior to this, Nicky studied for a BA in Natural Sciences (Genetics) at the University of Cambridge.